German Interior Ministry sent out invitations to all religious groups in Germany convening them in Berlin on October 16th to discuss the working conditions of foreign religious workers. However, certain words on the invitation made the leaders of the Turkish Muslim community to believe Germany is about to ban Imams coming to Germany to work from Turkey. “It is absolutely an attempt to ban imams coming to Germany from Turkey. There is no doubt. The meeting is about imams but inviting other religious groups is just a cover,” said a head of a prominent Turkish Muslim NGO who asked not to be named fearing repression from German state. The invitation sent out by the Interior Ministry says “Religious workers are exemplary characters for the society and important part of integration in Germany so They need to have German language proficiency.” The meeting will take place on October 16th in Berlin and such short notice is also considered by the Muslim community as “an attempt to catch the Muslim community off foot.” The letter attached to invitation also includes vague terms as “public benefit,” when referring to imported religious staff. German government have long been pressuring the Turkish-German religious groups especially DITIB, the Turkish religious body which have connections to Turkish state, to cut ties with Turkey. DITIB operates over 900 mosques in Germany alone and almost all of its Imams are appointed from Turkey. 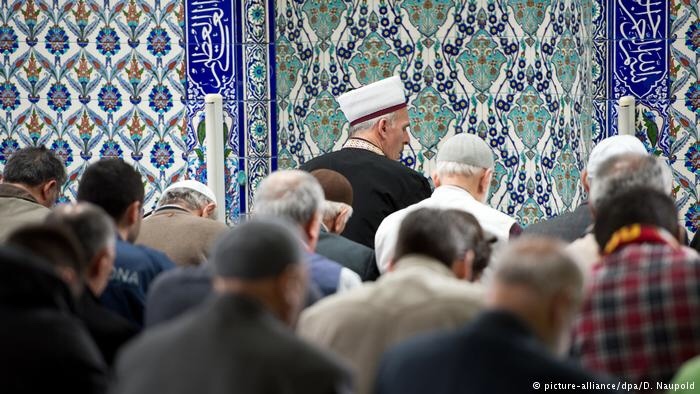 German government wants Imams to be trained in Germany instead of bringing them from abroad. But Turkish-Muslim groups argue that what German government wants is impossible to implement without recognizing Islam as an official religion as is the case for other religions. “If our our organizations and religion is recognized by the state, then we can carry out our duties without the help of Turkey,” said the Turkish NGO head. “Because we are not allowed to collect money from our followers, Turkey pays for the construction of new mosques. But Germany refraining from financing the mosques wants to appoint Imams,” he reiterated. Although extremely few, there are cases of foreign priests in some Catholic and Orthodox churches in Germany.